Hemsby Beach Holiday Park is ideally located on the gorgeous Norfolk coastline, just 7 miles north of the lively seaside resort of Great Yarmouth – but that’s not the only place with things to do on the Norfolk and Suffolk coast. There are plenty of fun things to do in both Hemsby and Great Yarmouth, but for those who want to explore the Norfolk and Suffolk coast here is our list of the best things to do on the Norfolk and Suffolk coast! Mundesley is a quiet seaside village on the North Norfolk coast, as well as a popular seaside resort during the summer. Worth a visit for its beautiful and clean sandy beach, the small seaside village is also home to Adventure Island Golf. A 12-hole adventure golf course, this is great for those who are looking for a fun activity for the family away from the buzzing hub of Great Yarmouth. Pay a visit to this pretty village and see if you can score the lowest number of holes in Adventure Island Golf! Cromer’s Pier is full of history, having been rebuilt many times over the years. The current pier has been in place since 1901, and was originally built with 500-foot of iron! Over the last 100 years the pier has been damaged heavily a number of times, with £8,000,000 worth of refurbishment work announced in 2012. With the pavilion, which has been a feature of the pier since 1905, and the pier’s appeal to multiple television and film crews, including ITV and reality TV, a trip to Cromer Pier is worth it just for the atmosphere. Plus, the people of Cromer are some of the friendliest around! 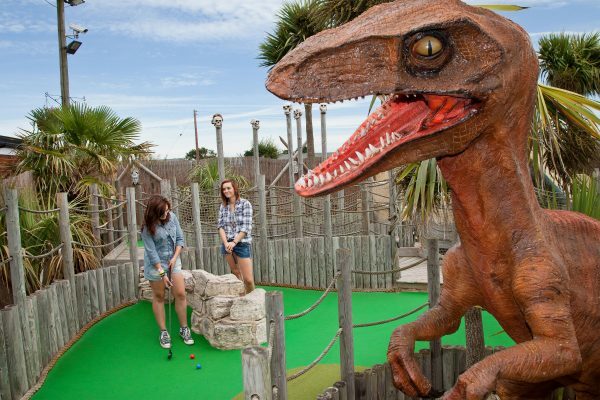 If you’re game for a round of adventure golf but don’t want to travel too far, then the Lost World Adventure Golf in Hemsby, just a short walk from Hemsby Beach Holiday Park, is a great option. A 9-hole adventure golf course, the kids can try and putt their balls in the company of dinosaurs, fossils, water hazards, and event an ancient Aztec temple. The golf course is also floodlit in the evening with sound effects and tropical plants so you can transport yourself into another world! 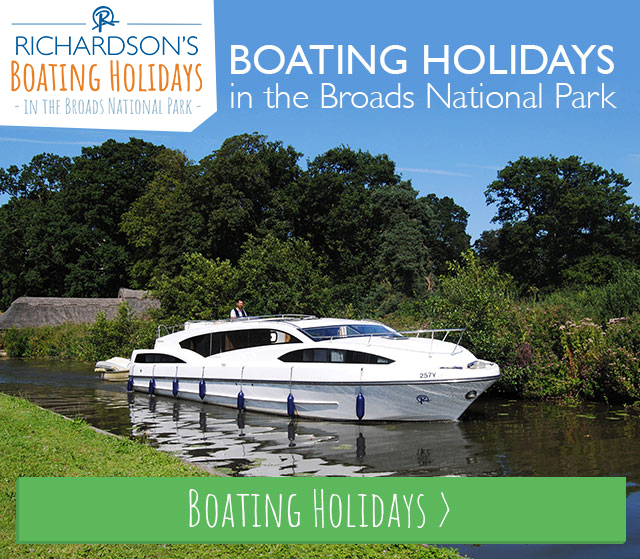 Great fun for all the family, and the site also has panning for gold so you can win yourself a souvenir medallion! 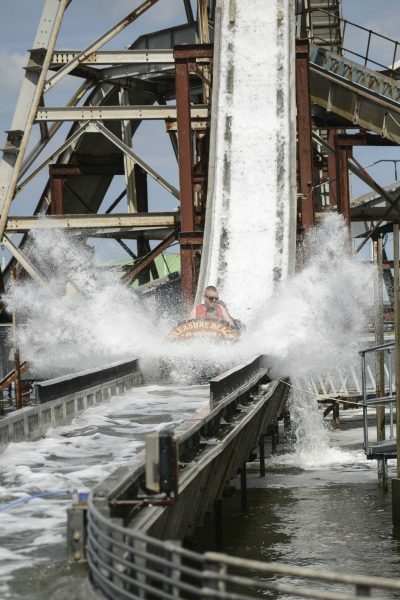 Described as a “mixture of high-octane rides and traditional attractions”, the Pleasure Beach lies on Great Yarmouth’s sea front, along the Golden Mile, and its traditional wooden rollercoaster is an iconic sight. Set across 9 acres, Pleasure Beach is a great option if you’re looking to spend the day or just a few hours, as you can purchase wristbands or tokens – it’s up to you! With Thrill rides such as Disko and Sky Drop to Kiddie rides like the Cups & Saucers and Yo-Yo, there’s plenty for all the family! Pleasurewood Hills is a day out for all the family! With Thrill rides, Family rides, Kiddie rides and attractions, there’s plenty to keep everyone entertained all day! Featuring East Anglia’s highest and fastest rollercoaster, Wipeout, as well as new family rides for 2017, the park also puts on Sea Lion and Parrot shows to entertain the whole family. There’s much more around the park to explore, as well as several places to grab a bite to eat or go for a picnic! 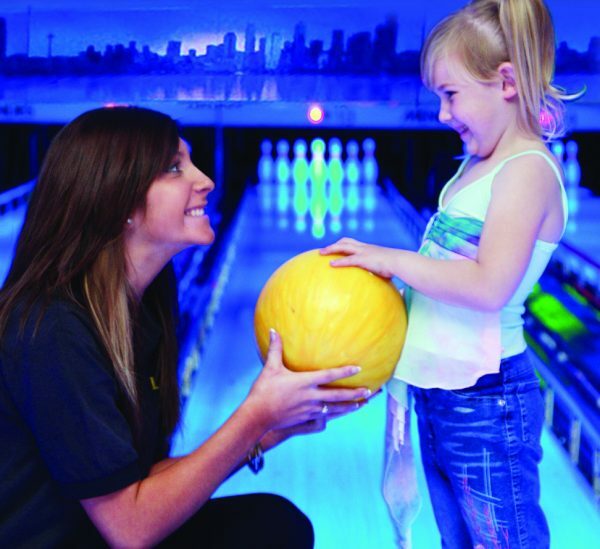 If it’s a night of family bowling you’re after, then consider Richardson’s Family Entertainment Centre in Lowestoft. In the evening, the 14-lane alley transforms for Glow Bowling, a bowling experience where you can try your best to knock down the most pins under UV light! RFEC is also home to Richie’s Adventure Play Island, a soft play space for little ones, as well as a pier-themed amusement arcade and delicious Galley Diner and Restaurant, complete with Cityscape Bar, a modern and relaxing area to enjoy a drink with family and friends, which features a 43” plasma with Sky TV! Dedicated to the most decorated lifeboatman in RNLI history, Henry Blogg served for 53 years on Cromer’s lifeboats, saving over 873 lives with the assistance of his crew. The museum celebrates the experienced coxswain’s life, as well as hosting a number of exhibitions throughout the year for visitors to enjoy. With lots of interactive displays for young children to get involved with and a suggested £2 donation for entry, this is a no brainer for those wanting to learn more about the local area and it’s inhibitants! A favourite across the country, the Sea Life centre is home to lots of creatures that live under the sea, and Great Yarmouth is home to one. As with lots of Sea Life centres, Great Yarmouth is committed to the conservation of sea creatures. Their expert staff look after the ocean’s inhabitants that live in the centre so visitors can experience them. You can expect to see sharks, rays, turtles, penguins and more! 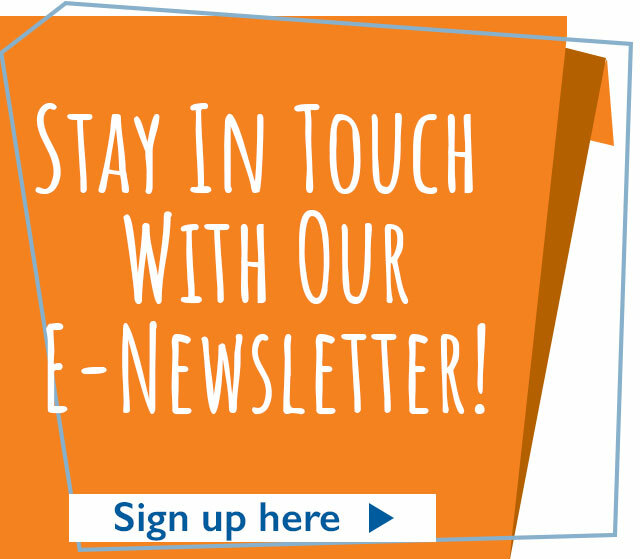 The kids will love getting up close and personal with animals they wouldn’t normally get to. A great free and outdoor activity, why not take the family to see the seals at Horsey beach? You can find out more about Spotting the Seals on our website here. Sheringham Park is a beautiful park to spend the day, with its views of the sea, wildlife and fresh air, this is especially great for those who are holidaying with us at Hemsby Beach Holiday Park with their dog! Well behaved dogs are welcome, and have 1000 acres to run and explore! No matter what time of year you visit Sheringham Park, you’ll see a variety of birdlife and animals to see, from woodpeckers to skylarks, butterflies to snakes. Last reviewed 01 September 2017. 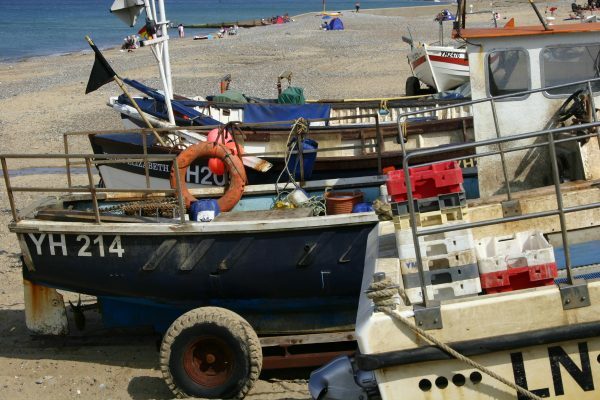 Photo of Cromer boats courtesy of www.visitnorfolk.co.uk. Photo of Lost World Adventure Golf in Hemsby by Adrian Buck, photo of Pleasure Beach by Andrew Florides, courtesy of Great Yarmouth Borough Council.